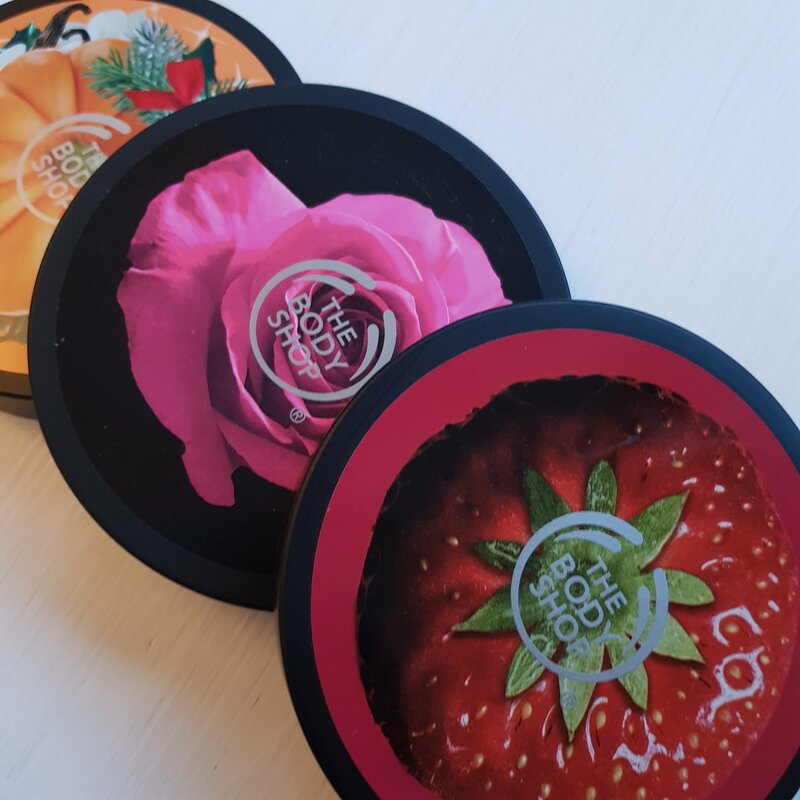 I’ve tried a few brands of body butters however none of them match up to the powers of The Body Shop! They are all super creamy and nourising and have a very intense scent to them so if you’re sensitive to strong smells, I don’t think these are for you. They retail for £15 each however The Body Shop very often have offers to make them cheaper. For £15 you get a 200ml tub of product which I think is great value for money. My first ever favourite scent from The Body Shop was the Strawberry one. Oh My Gosh, this stuff just smells like a strawberry milkshake in a tub. It is incredible! It is a very sweet scent of strawberry so I could see some people really not liking this one. My next favourite is last the scent of last christmas, Vanilla Chai. I’m not even sure how to describe how this smells if I’m honest. It is mainly a vanilla scent with spicy cinnamon notes. It’s a staple christmas scent to me now and I’m so glad they are bringing it back again this year so I can stock up! I actually have the body gel-lotion in this scent too which is incredible also, using them together ensures I’ll be smelling sweet all day! Next up is the British Rose instant glow body butter. As a lover of floral everything, floral scents are not something I run for. I find that they can be ‘old lady-like’ or just very over powering however this body butter has the scent perfected. It smells just like a rose but a very creamy version of them! (It is at this point I realise I am horrendous at describing scents!!) It’s a truly beautiful and elegant scent. Last but not least is my most recent purchase; Vanilla Pumpkin. This scent was brought out a transition of halloween to christmas and it is glorious. It is heavily scented of vanilla with soft hints of pumpkin. It is more of a sweet scent because of the vanilla but it isn’t sickly sweet which makes it easy to put on daily. Unfortunely they don’t seem to stock this scent online anymore but keep an eye out for it next year! 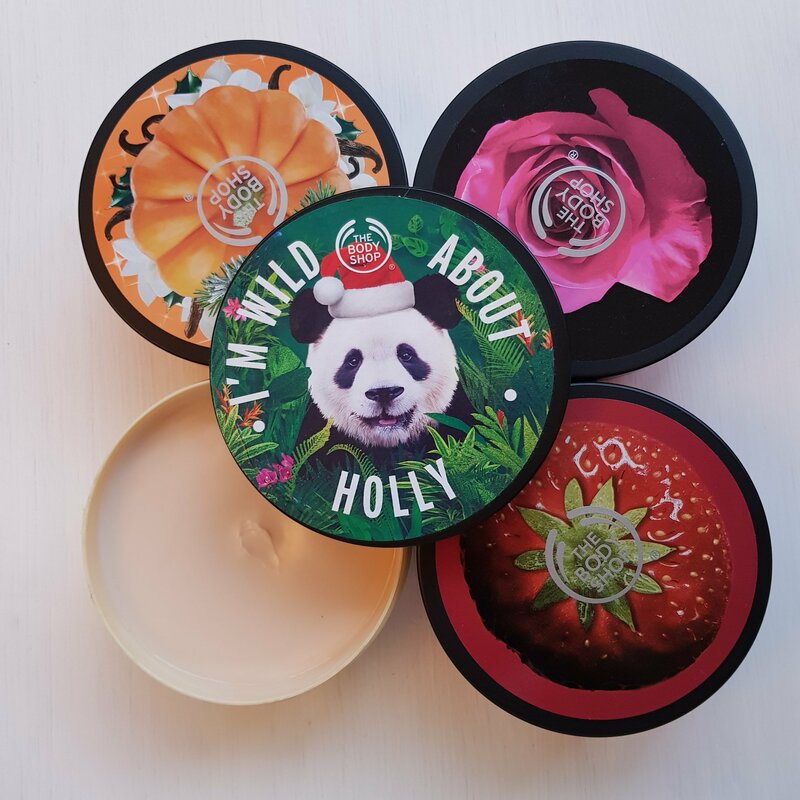 I have tried many more of the body butters in the past or been given mini’s as gifts such as; Grapefruit, Peach, Mango, Coconut and Moringa which were all lovely but just didn’t quite make my top 4 favourite scents!